Catawba River Water Treatment Plant Raw Water Reservoir Expansion | Wharton Smith, Inc. The Catawba River Water Treatment Plant Raw Water Reservoir Expansion is a two-year project constructed for Union County Public Works and Lancaster Water and Sewer District to provide additional water storage in response to severe drought conditions affected by the area in recent years. Construction consists of a 110-foot tall earthen embankment dam and a 66 million-gallon-per-day raw water reservoir pump station. Once completed, the new 92-acre reservoir will provide one billion gallons of raw water storage in the reservoir allowing for a 30-day supply of water. Wharton-Smith is working as a subcontractor to general contractor Phillips & Jordan providing concrete, mechanical piping, mechanical equipment and electrical services on the project. 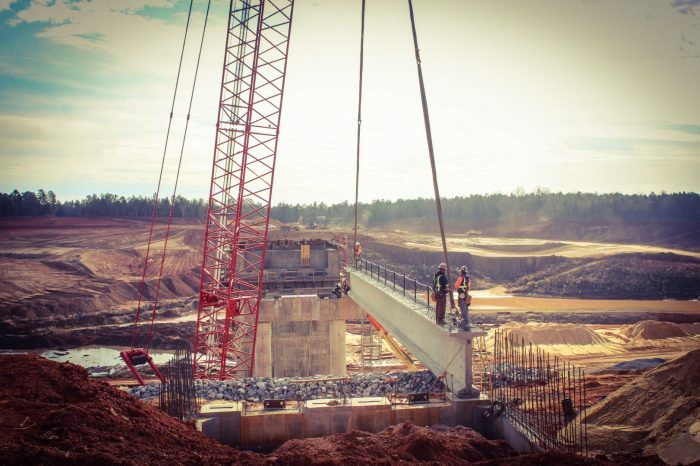 The team is constructing the reservoir pump station, with vertical turbine pumps and piping, as well as a river outlet structure in the Catawba River. Additional concrete structures include an overflow spillway, an outlet in a nearby stream, and discharge/inlet structures in the existing reservoir.